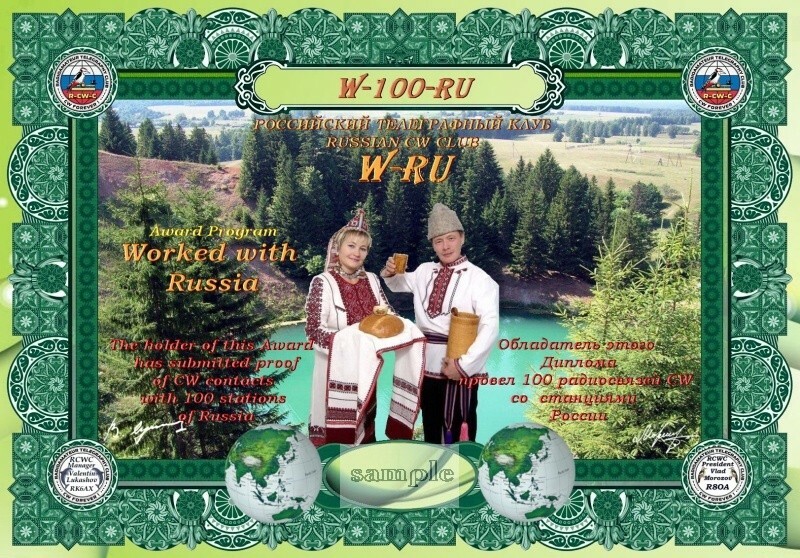 The degree program is founded by the Russian cable club R-CW-C.
Diplomas are issued for radio communications with the radio fans working from the territory of the Russian Federation. For diplomas the radio communication with each radio fan (various call sign) is set off only once. The radio stations using additional identifiers in the call signs separated from the main call sign he is familiar / (/A,M,/0, / P and тд) are set off for this diploma. RM4C, RM4C/P, RM4C/0, RM4C/0/P are various radio stations and will be included for diplomas of W-RU. R/UT7MM - is set off for these diplomas. Diplomas are issued for the radio communications which are carried out by telegraph (CW). Radio communications, since 1/1/2000 years on all radio amateur ranges, including WARC are set off. 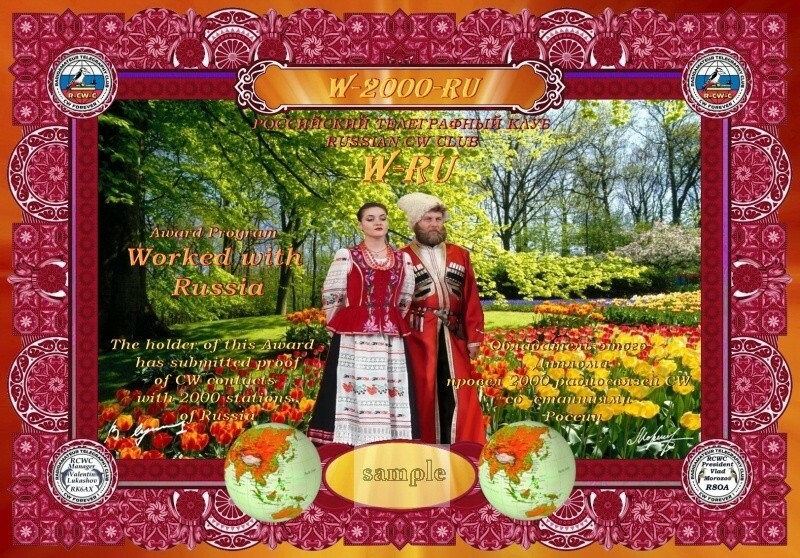 There are 7 various diplomas of W-RU. 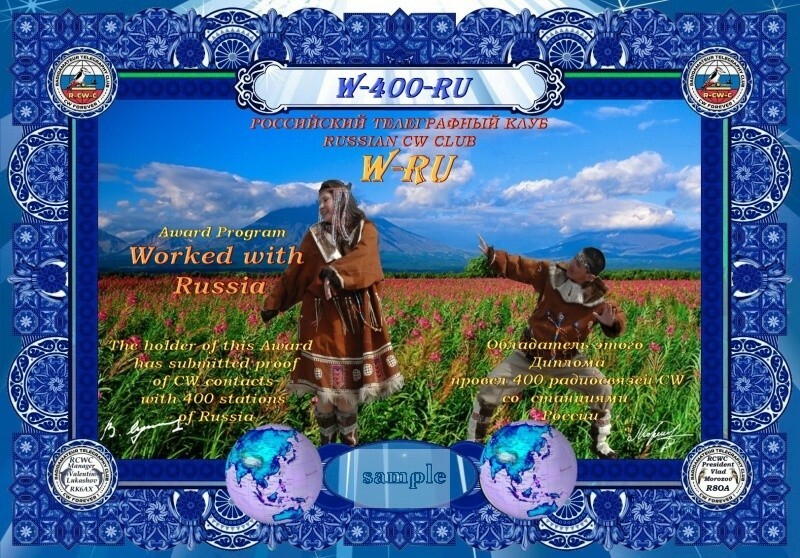 W-5000-RU - is given for 5000 QSO with various amateur radio stations of the Russian Federation. The application is formed in a look, convenient for the applicant, for example, of cbr, txt, xls, doc. Data on radio communications in the application it is necessary to place in alphabetical order followings of call signs. 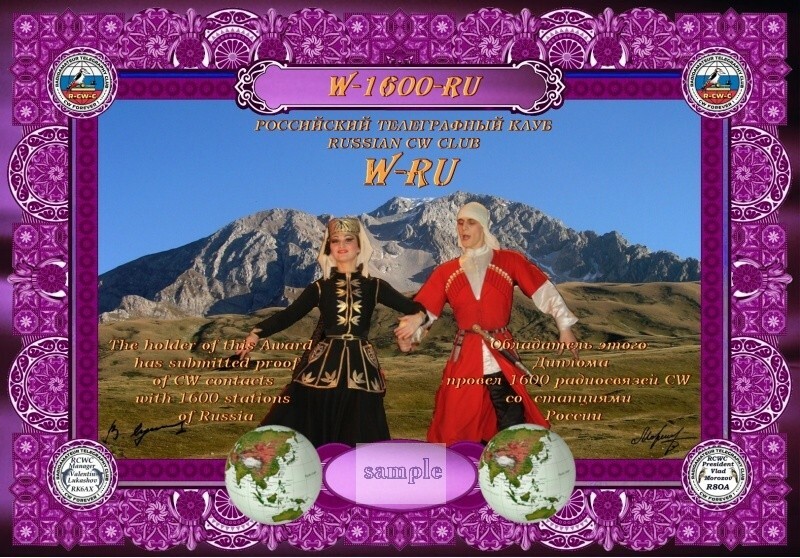 On this diploma QSL cards for confirmation aren't required. 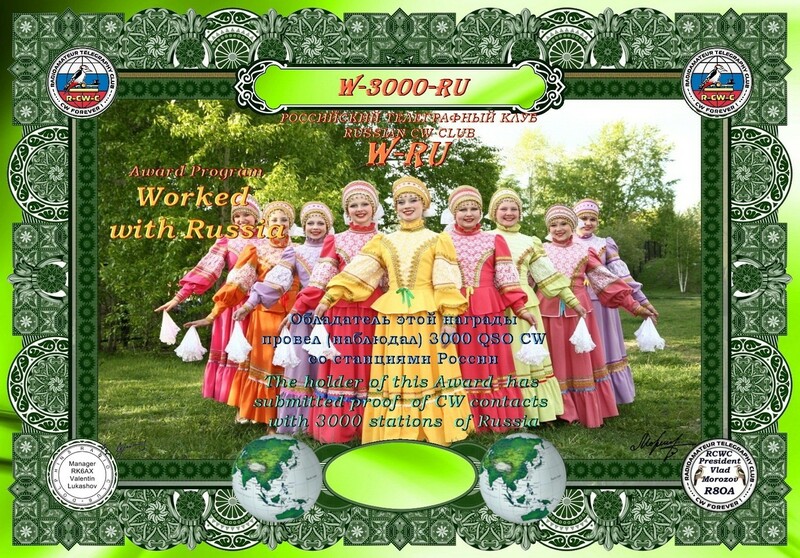 Applications are accepted through service Diplomas on the website rcwc.ru. It is possible to study the instruction for application according to the reference. Application samples in the formats excel, word, txt can be downloaded at the link below.